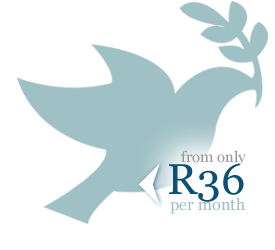 Metropolitan Life funeral policies start at R36 per month, and these premiums will go into covering you for as much as R50-000 depending on your risk profile and type of cover you require. When you take up funeral cover from Metropolitan, you can cover your own life as the policyholder, or take up a family funeral cover for your spouse and/or children. However, unlike other providers, funeral cover for parents would have to be taken as a separate policy. Get funeral cover from a provider you trust – that's the promise Metropolitan Life Funeral Policy promises its members. By taking out a funeral insurance policy from Metropolitan, you can have the peace of mind knowing that your financial needs during and after your funeral will be taken care of. Metropolitan goes further and gives you the option to cover your partner, children, and members of your extended family under these following funeral plans. A major benefit of Metropolitans funeral policies is the Paid-Up Benefit, where after you (the policyholder) has died and claims made by your beneficiaries successfully concluded, those beneficiaries will still enjoy the full coverage as per your original policy. Your beneficiaries need only apply for the Paid-up Benefit. This will continue until those children reach the age of 21 years, or enter into marriage before the age of 21 years. Other benefits include a cash back benefit where 2 months premiums are paid up to you if you made all 12 of your year's payments on time. A 3-month waiting period for cover to be successful under the terms of your policy. Within this your premiums must have been fully paid up and on time. This is usually done by debit order. Cover seizes when you live outside of South Africa for more than 12 consecutive months. You may cancel your policy (in writing) before 30 days of initially taking it up. Cover may be taken up by South African citizens 19 years and older.